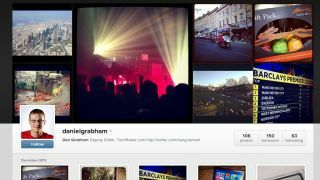 Instagram learns the hard way: but how many users did it lose? Instagram is famed for its photo filters, but it appeared to add a new, unwanted one this week: a filter that made the service evil. Changes to its terms and conditions appeared to give the service the right to use your photos in ads - ads that wouldn't necessarily be labelled as such - or sub-licence them for cash without asking permission or giving you a cut. The internet, you'll be amazed to discover, was furious. Gary Marshall explained why so many people were angry. "Whether by accident or design, the new T&Cs say that when you upload things, they can be used to misrepresent you and mislead others," he writes. "That goes way beyond using advertising to pay the bandwidth bills. It's seeing users as suckers." If Instagram didn't change the terms, Marshall suggested, "you should change your photo sharing service." Instagram promised to change the terms, in what you might interpret as frantic backtracking or clarification of a terrible misunderstanding. National Geographic appears to believe it was the former, and has suspended its use of the service. Yahoo must be jumping for joy: the Instagram debacle happened just as it unveiled a brand new Flickr app for its photo sharing service. iOS 6 is now bearable. Thanks Google! Instagram users weren't the only ones jumping ship. Apple users were dumping iOS maps for Google's new maps app: as Chris Smith reports, one firm of analysts reports a massive 29% leap in iOS 6 impressions in the five days following the Google Maps app launch. It seems that the app "may have prompted a large number of users to finally make the leap to Apple's iOS 6" - and to leap straight into the arms of Google. The Maps debacle was one of many highs for Google in 2012, but there were lows too: hands up who bought a Nexus Q, or even remembered that it exists? As we discovered, Google's hit home runs with smartphones and tablets, but it's also encountered logistical problems, tax troubles and regulatory scrutiny. Microsoft also had fun in 2012. Windows 8 and Surface are pretty good, but mystery still surrounds their sales. Apple's had a bumpy year too. Despite making some wonderful bits of kit and earning truly astonishing sums of money, Apple's operating amid a flurry of lawsuits, share price swings, software problems and some pretty blatant copycats. It's also suffered from uncharacteristic delays, such as the delayed launch of the new, ultra-thin iMac - check out our new iMac review here. Apple's not the only one dealing with frustrating delays. Dell and HP's flagship Windows 8 tablets have been delayed too, with their November and December shipping dates being pushed back to January. The culprit, it seems, is quality control testing: Intel's latest Clover Trail processors aren't meeting Microsoft's quality standards. Swearing is OK. But not in an aggressive way! It's enough to make you go online and call people names, but be careful: new UK government guidelines make it clear just how many expletives you can hurl before the internet cops will come a-knocking. The guidelines add some much-needed perspective, differentiating between stupid and/or inebriated posts and online abuse. Generally speaking it's okay to call someone a ******** **** ******* ****, especially if that someone is @piersmorgan, but it's not okay to intimidate, terrify or harass them. And that's it for Week In Tech this year, although we'll be posting plenty of other stuff over Christmastime to keep you and yours entertained. Plus our fabby (and five issues free!) iPad magazine, Tech., will continue to publish during the Christmas season. We'd like to wish you and yours a very merry Christmas and a very happy New Year, and we hope that Santa delivers all the gadget goodies you asked for.